If we are going to make our home secure, then we’ve got to: 1) Know the mind of the would-be intruder. 2) Identify and understand the weak points in the modern home. 3) Find and obtain the best available products. 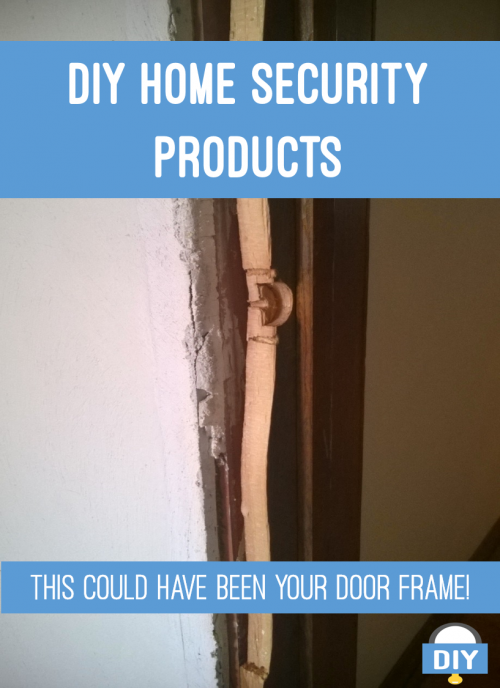 Using these DIY home security products, we will be able to reinforce known security deficiencies in today’s construction, and no longer be an easy target for those who would seek to do us harm. For the would-be burglar, often the easiest point of entry is the same place for him as it is you; the door. Crime statistics show that just over 1/2 of all break-ins happen that way. And it is basically preventable by using DIY home security products. The door frame is made of soft wood so the builder can fit it easily into the wall frame of your house. And this works well for house construction. It’s just not too good for security. Remember, the dead-bolt tongue extends into that wood in order to lock your door. A solid, well-built dead-bolt is important, but one swift kick will still break that wood and the only thing secured is the bad guy’s entry. Swing bar locks (like you find in hotels), door security chain locks, and slide bolt latches leave you with the same problem. A number of different products attempt to secure your door. But most of them fall short of our expectations in 1 or more of 5 areas. Too cumbersome. You have to remember to turn it on or put it in place at all times, and keep setting it up and taking it down during the day. Inaccessible from outside. When employed, family members cannot enter the home with simplicity. The person on the inside must disengage the product for them. Unusable when away. You can’t use the product to secure your home from outside. When you leave, leave it’s useless. Unsightly. It’s not something that you want installed on your home because you simply don’t like the way it looks. Door jamb failure. It does not correct the original problem and work with your deadbolt. These babies are popular and they prove the old adage in sales: “Don’t sell the steak, sell the sizzle.” You see, alarms do a great job of letting you know you’ve potentially been broken into. I say “potentially” because according to the University at Albany somewhere between 94 and 98% of the tens of millions of burglar alarms each year in the U.S. are false. Using our 5-point expectation grid, these systems fail #1. If they are not engaged, they don’t do the job. They effectively pass on #2-4. Yet they do nothing to actually make our door less penetrable, so they also fail us at #5. Unsightly as it may be, if installed correctly, it will likely secure your entrance. Imagine a 2×4 running across the interior side of your door like you might see on a barn. Of course, the one’s you’re likely to see for sale will be made of metal, but you get the picture. I’m guessing this won’t be your first choice if home décor is important to you. This is an adjustable bar that works like the old chair-under-the-doorknob trick. This will add some resistance to pressure from outside the door for sure. I like this product, but more for the master bedroom door when the grand kids are around acting a little crazy and I’ve got a headache. It is also sold as a dual-purpose item that can be used to secure your sliding glass door. The idea is to lay it in the runner so the movable door is blocked from opening. But for now, let’s just stick to the traditional 30” to 36” exterior door. This product also comes up short on all 5 categories. Other devices that do as good a job at preventing a break-in (or maybe even better), but still fail us in our 5 criteria, are The Door Club, The Door Jammer, Ongard Security Door Brace, a slide bolt latch, and other similar inventions. These are somewhat popular, particularly in urban neighborhoods. They work in areas 1, 2 and 3 to be sure. Whether they are unsightly is really just a matter of opinion, some folks like them and some just don’t. As to solving #5, door jamb failure, it obviously does not do that. However, if this product proves to be a strong enough deterrent and you have one on all your doors, then you don’t have to worry about that issue. On the other hand, if you have a deadbolt on your door, it’s just about useless. These are specially constructed doors made to stand up to extreme force. You can buy these, for a nice price, with steel reinforcement inside of a normal wooden door. With a door like this, the average criminal is not breaking the door down. 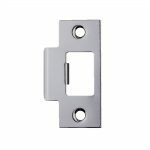 They are beautiful and work like any other door, even sometimes with special multi-tongue deadbolts, so they easily meet our first four needs. But if nothing is done to harden the door casing, #5 is still a problem. The little piece of metal over your door jamb that the deadbolt feeds into is likely installed with ½-inch screws. The plate’s main purpose is to allow the door to close and lock snugly. Some have replaced those short screws with 3-inch ones that go through the door jamb and into the wall studs. And I think that is moving in the right direction. However, the force from a kick will still only end up being concentrated on a few screws and a small space. Though reinforcing this product succeeds in numbers #2-5, it does not do so in the all-important area of #1; door jamb failure. Imagine a 1 to 6 foot strike plate with 4 to 11 screws, all 3 inches long. When installed, this product is anchored thru the casing into the wall stud. These different products are varying lengths and prices. Some are mostly unseen and therefore attractive, while others not so much. As to areas #1-3, we find door jamb enhancements to be successful. Regarding #4, it truly depends on which brand or type you purchase and the ease in which it installs. And concerning the all-important #5, the 4 footer with 8 screws will provide the greatest security against door jamb failure. We will review the different items in this grouping in the next post. After assessing the differing kinds of door security, we have concluded that enhancing the door casing most meets our expectations. With that in mind, we will tackle the various products that claim to secure exterior doors with this approach in our next article. What did you like most? Do you think we missed a product type or maybe misrepresented one? Be sure to leave your questions, comments and concerns below. And remember, being informed and prepared means living without regret. 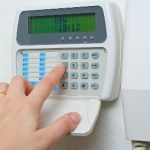 Previous Post - Previous post: 6 Home Security Facts – And a whole lot more! Next Post - Next post: Do Alarms make home more secure? Thank you so much for this informative article. 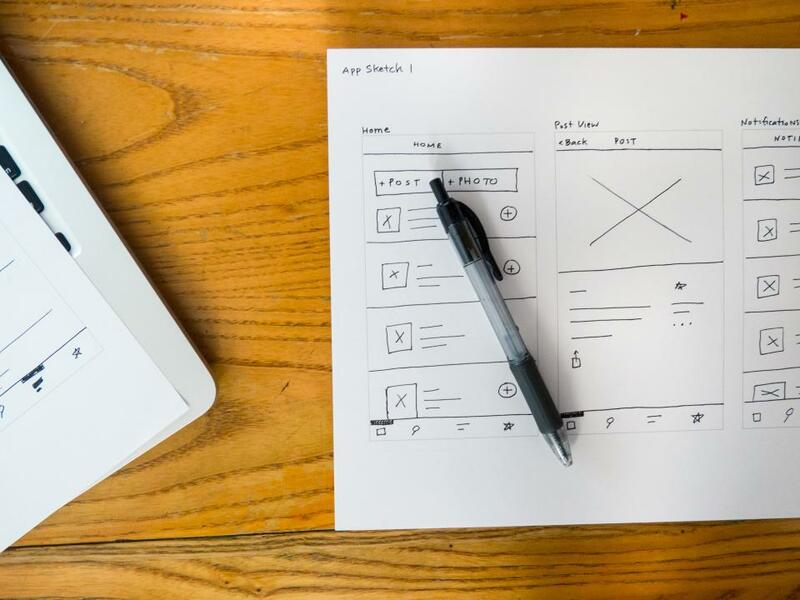 I think there are many people who are lulled into a false sense of security by not fully understanding some of the pitfalls that many of the security systems could present. I was utterly shocked at the high percentage of false alarms that are reported. This is obviously not a very worthwhile outlay. I don’t have anything illegal going on at my place but I quite liked the door bar option! Hey Brian, Thanks for stopping by and good luck with your home security project. I found this YouTube video for you if your interested. Hey Christina, Thanks for dropping by. Home security is one of the many subjects where ignorance is bliss… until your a victim. 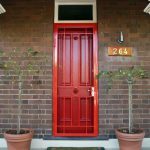 Check out BEST BEST DOOR JAMB REINFORCEMENTS 2018. An informational post.. Its very important now a days to have security check in our house due the increase in crime rate and the most easiest and available way to enter the house is the door, so the door security is the most important. According to me the best is to have an exterior door made of metal. Huzefa, thanks for your input. Are you referring to the security storm door or just the regular exterior door being metal? Interesting article. I leave in a particularly difficult area with a lot of incidents lately so this article really helped me alot to understand my options. Thank you for the information. Stratos, thanks for stopping by. May I ask you where you live? I have had a security system in one house before. The number of false alarms made me take it out. I have the longer screws in all of my exterior doors at this time. We have not had very many break ins around our neighborhood since I have been here, 17 years. It is out in the country, within several miles of the county jail. A lot of break ins happen close to the jail when people get out and have no place to go. 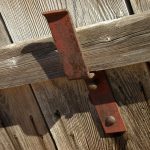 All of us have out buildings for lawn equipment, what would the best way to secure a barn door. Hey John, thanks for your comment. It really is crazy about the alarms isn’t it? As to your barn door out in the country, I’m guessing it’s quite dark and you and your neighbors like it that way. So a motion sensor on a very bright light is a great deterrent in the country. Mr.Security has a pretty cool wireless alarm with a flashing light and 120db alarm with remote that would scare the crap out of anyone in a dark, quiet setting. If you go to their “Safety” tab, then click’s on alarms,” it’s the last product listed. Also, is your barn door your only entrance to your out building? If not, locking them from the inside with a security bar is my suggestion. Good thing about most barn doors is they open outwards, which gives you an advantage. If it is, I’m a fan of the security bar with a deadbolt on the outside. On the other hand, if your barn door is the sliding/overlapping kind, like patio doors, that’s a whole other conversation we can have. Great article CT am very much looking forward to your next article after this comprehensive read. Thanks for sharing!